This Challenge aims to reward and spur innovative solutions to the development of a novel physiologically relevant biological assay to advance pre-clinical discovery and development of non-addictive treatments for pain, drug addiction or overdoses. This Challenge requires submission of only a detailed description of the design of the assay(s), not the final working assay(s). Current in vitro assays and in vivo models to study pain and addiction and test potential treatments are very limited. Pharmacological probe, lead and drug development have traditionally utilized canonical cell lines (such as CHO or HEK293) that heterologously express the molecular target of interest, and studies that are performed in animal models often do not fully recapitulate human physiology and may identify candidate compounds without effects in more human physiology-relevant systems. Therefore, NCATS is inviting innovators to propose and develop novel “disease-in-a-dish” assays of pain perception, addiction or overdose that advance the understanding of different types of pain, identify differences in inter- and intra-individual pain and the associated risk of developing chronic pain and/or addiction and make possible the development of improved, non-addictive drugs to treat these conditions. 2D and 3D human disease-relevant screening platforms may include but are not limited to normal and diseased human iPSC-derived sensory/pain neurons (such as peripheral, dorsal root ganglia [DRG], spinal cord and thalamus); neurons relevant to reward pathways; and other tissues important for pain, addiction and overdose, including blood-brain barrier (BBB). 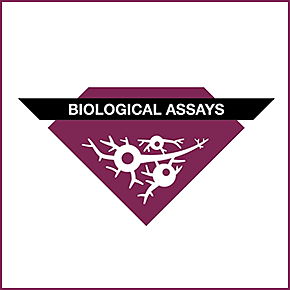 The assays will be adjudicated on their physiological relevance, robustness and reproducibility, and their future potential to be amended to automation and scalability for medium to high-throughput screening assays. Initially, the assay can be designed for low-throughput screening; it is expected that even at low throughput, multiple technical replicates will be compared in the same experiment. Eventually, the assay should be amenable to automation and scalable to medium- (96-well plate) to high-throughput screening (using, for example, high-content imaging, drug validation/toxicity, functional genomic screening).